No one knows what new thing or new change will result in exactly the kingdom-results we hope for in all contexts, but through this program we hope to create a culture that is intentional, nimble, and dynamic. Ready for the unknown future, we seek to foster ideas that heed the Holy Spirit’s movement in places where Christian community is ready to be birthed. Click here for the official flier on the program. Rebecca Anderson is ordained in The Christian Church (Disciples of Christ). 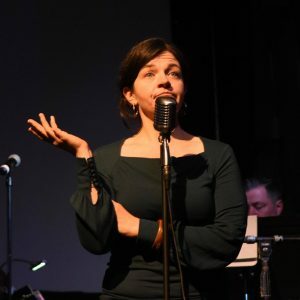 She has a Masters in Divinity from the University of Chicago and a Bachelors of Fine Arts in Playwrighting from Hampshire College (Amherst, MA). Rebecca’s been on Snap Judgment (radio), and podcasts including The Broad Experience and Myq Kaplan's Broccoli & Ice Cream. Active in the Chicago storytelling scene, she’s performed with events like RISK!, 2nd Story, The Moth, and This Much is True. As a comic (back in the day), she was featured in The Boston Globe and The Christian Century. Out of this experience, Rebecca has developed and teaches workshops designed to grow the practice of story-telling and foster interpersonal connection (EarshotStories.com). She also hosts potlucks, plants gardens, and knows the best places to pick juneberries within Chicago city limits. Rebecca Anderson, Storyteller and Church Planter - Getting to the Heart of Your Missional Story...and Telling About It! Link to registration for the day is here! The New Wineskins Grant Program seeks to nurture the birthing of new ministry initiatives within ABC/WI by planting seeds thru training, coaching, and financial support. This initiative is about supporting new ministries (new faith communities or missional efforts) and is not intended for retrying old ideas that worked in the past or strengthening things that already exist. We encourage informed experimental ideas. We encourage ideas that seek to reach and minister among populations currently not connected with, or who are underserved within, ABC/WI. In our commitment to valuing each individual human life and the gathered community, we understand ministry as something that happens with and among people rather than to and for them. Ideas that are strong on relationships rather than focused on transactions will align with this program’s vision. We are looking for applications that include: alignment with ABC/WI mission, collaboration with others, and innovative approaches. 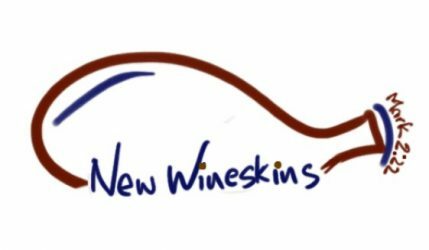 Click HERE for instructions on applying for a New Wineskins Grant. Deadline: Wednesday, April 10, 2019. Please note: Project Liaison or someone else from leadership team is required to attend the Day of Missional Innovation (see above). Click HERE to go to online application.